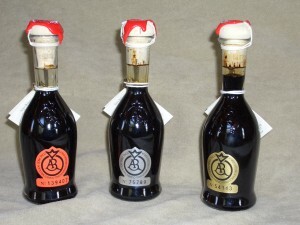 In the years, the Aceto Balsamico Tradizionale di Reggio Emilia has been identified with different numbered seal. Shown below a short chronicle to understand the several seals (colored and numbered labels) it is possible to find on the bottles. In the shops it is possible to find package with previous seals: that it is not a problem.. 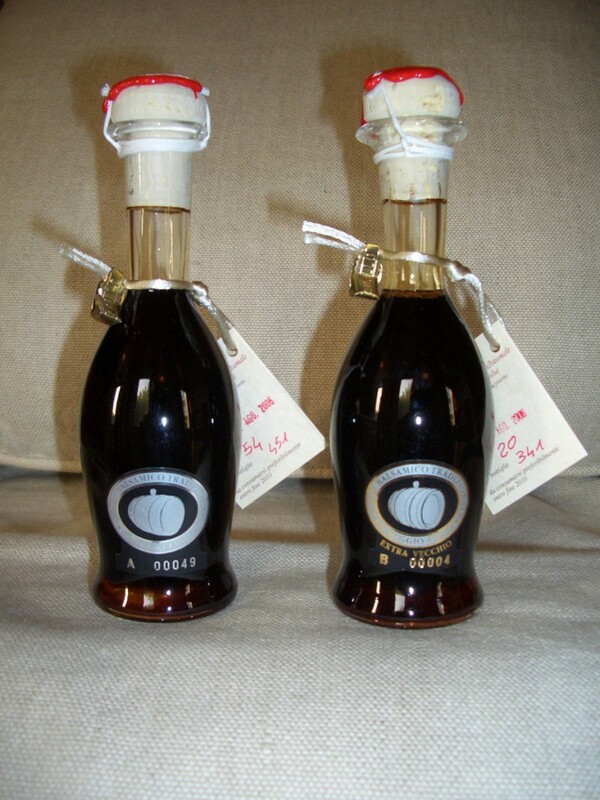 In fact, we talk about vinegar, product not perishable and that lasts long time without evident deterioration. For Traditional 12 years ageing it is possible to use LOBSTER and SILVER seal. more than 270 points – classified SILVER. GOLD seal is assigned to Traditional aged more than 25 years and with at least 300 points at the sensorial analysis. 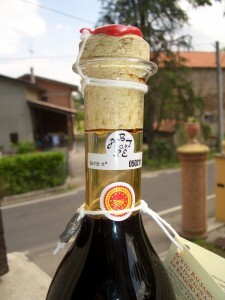 In the 2010 Agricultural Minister modified the control plan of PDO Aceto Balsamico Tradizionale di Reggio Emiliaand fixed the single kind of numbered seal, white color with progressive number and used for both the Traditional: 12 and 25 years aged. 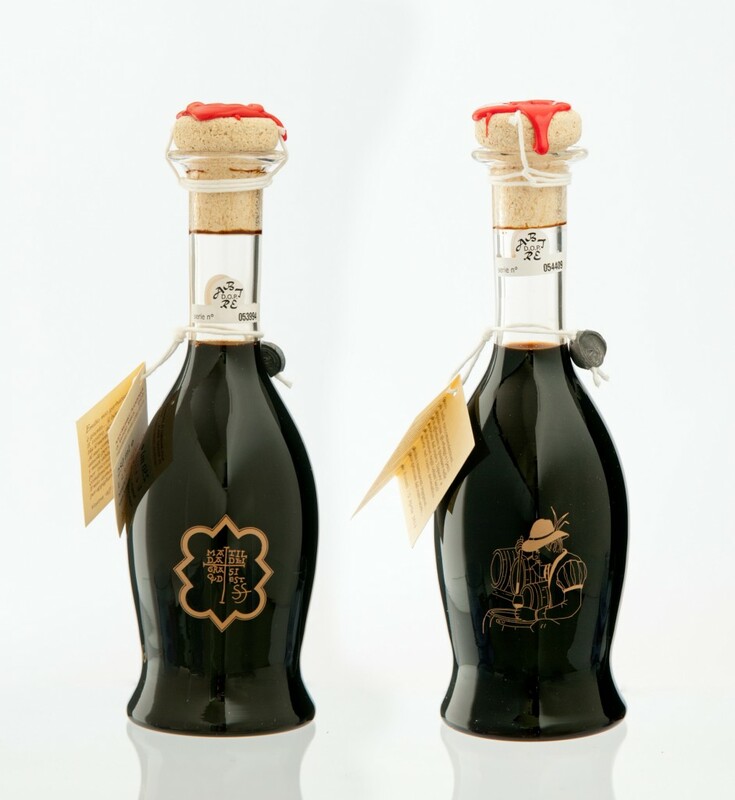 – the serigraph describing the Balsamico taking from the barrels, in custom style Luis XV. In the 2006 the Agricultural Minister and the body of certification established thateach producer could use different numbered seals (different in the mold and the color). 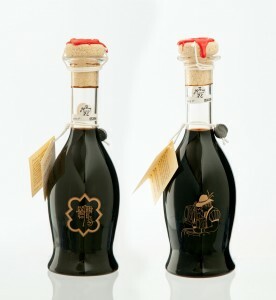 The design chosen represented a silver cask (to remeber the one that Bonifacio gave to King Henry III in the 1046 containing the precious vinegar) encircled by Aceto Balsamico Tradizionale di Reggio Emilia and with progressive number on the lower. For Traditional aged 25 years in the seal there was also EXTRAVECCHIO term. 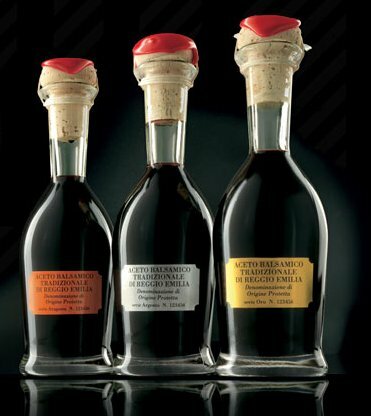 Until 2006 all producers of Traditional Balsamic Vinegar of Reggio Emilia used the colored seals (lobster-silver-gold) prepared by Consortium of producer. The three different colors distinguished the Traditional depending on the result of panel of sensorial judges organized by the same producers.